A new sculptural ceramic mural, capturing the spirit and history of Ramona, is being installed at Ramona Library. Friends of the Ramona Library commissioned Del Mar artist Betsy Schulz to design and create the mural. 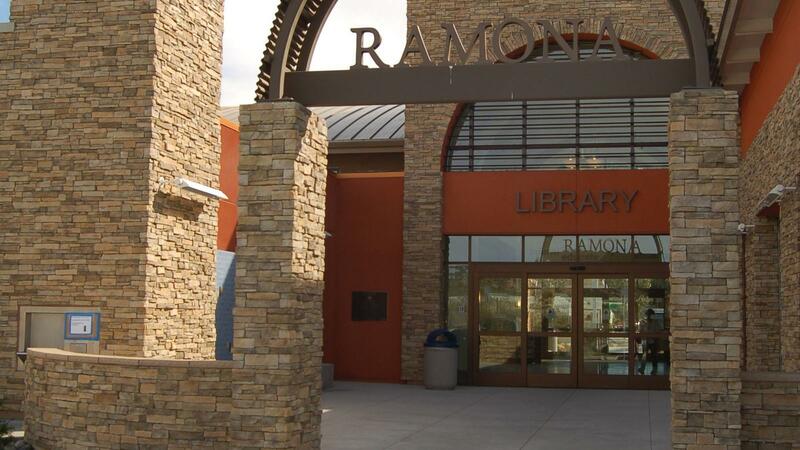 “She extensively researched the history, the people who lived here, and the plants and animals from this area, to capture the spirit of Ramona,” Debby Novak, Friends of the Ramona Library president, said in her announcement about the mural. This new mural replaces the old donor wall outside the library entrance from the parking lot. As well as having no space to add new names, the blue tiles of the old donor wall were faded and in need of a refresh. All of the names from the original donor wall are currently included on the new donor wall, also designed and created by Betsy, inside the library entrance.